Ms. Willie Grace Smith, age 57 of 222 Temple Ave., Sanford, NC passed on Thursday, November 1, 2018 at Central Carolina Hospital. Willie Grace “Cookie” departed this life peacefully on Thursday, November 1, 2018 at Central Carolina Hospital. Willie was born January 23, 1961 to the late Willie Haywood Smith Sr. and Annice Kersey Smith in Granville County, NC. She graduated from Lee County Senior High School in Sanford, NC. 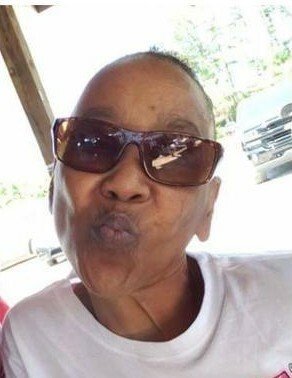 “Cookie” as she was affectionately called by her family and friends made her home in Sanford, NC and worked for many years in the food service industry before her health declined. She enjoyed watching sports and listening to all types of music. She especially enjoyed spending time with her family, which meant the world to her. Willie Grace was a member of New Zion Missionary Baptist Church, Sanford, NC. She leaves to cherish her memories, two daughters, Lanice Smith and Bianca Smith, both of Sanford, NC; nine grandchildren, Tyron Smith, Kayland Smith, Asa Smith, Liyah Smith, Christian Smith, Courtney Smith, Jaden Best, Rodney Clegg Jr. and Jade Best; three sisters, Helen Jackson, Elean Fox, and Linda Rives and three brothers, Christopher Smith (Tamika), Thomas Smith, and Willie Smith Jr., (Lisa), all of Sanford, NC; also a host of nieces, nephews, other relatives and friends that she loved dearly.